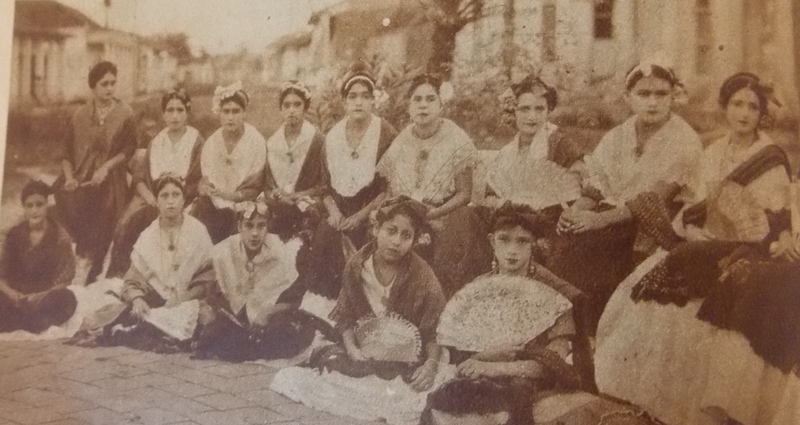 I am amazed at how many Mexican folkloric dances were cataloged and recorded by teachers of the Secretaria de Educacion Publica by 1934. In his writings, Carlos Merida, Director of Mexico’s School of Dance during the early 1930s, listed so many dances that are now well beloved. For example, a few of the dances that he listed included the danza de los viejitos, danza de los negritos, sones huastecos, sones costenos, jarabe tapatio, etc. Then, in the 1970s there was another government led movement by Mexican President Luis Echevarria (1970-1976) to collect and document the folkloric dances of Mexico. Many of these dances are performed in the repertoire of folkloric dance groups today. Of course, we also have the many dances that were specifically created for the stage such as the dances of Sinaloa, Nayarit Costa, Flor de Piňa from Oaxaca and the list continues. I argue that all of these dances have evolved and changed with time. No matter how hard we try to “preserve” dances so that they remain the same, dance and music traditions do not stay static but are fluid. As folkloristas we are involved in this movement to continue dance traditions that have been passed on from one generation to another. These two photos show how dances continue to evolve and change. This photo on the left was taken of Jarochas v isiting Mexico City in 1933. The second photo on the right was taken of my group the Gabriela Mendoza-Garcia Ballet Folklorico in 2014 at our concert on stage. These photos taken almost one hundred years apart attest to the ever-changing dynamic of the folkloric dance movement as it travels throughout the world. This entry was posted in dance, folklorico, Jarochas, Mexico and tagged dance, folklorico, Jarochas, Mexico. Bookmark the permalink. sin duda alguna, los comentarios vertidos son de un gran peso, pues la reflexión de la evolución dancística es imprescindible, pues los grupos sociales y costumbres también evolucionan. los coreíografos actuales deben considerar que la historia , los usos y costumbres se adaptan a las nuevas espectativas de la evolución humana. Gracias Gaby Mendoza por compartir eres una gran promotora de las artes en la actualidad.